Decades-old pictures picked up in a secondhand shop by Black Country man Sam Humphries bring to life a royal visit to Birmingham more than 100 years ago. Within the pages of the A3 size binder, titled The Illustrated News of the World and National Portrait Gallery of Eminent Personages, lie a series of artists’ impressions and articles that give an insight into the history of the city – one big day in particular. It was Saturday, June 26, 1858, and Queen Victoria arrived in Birmingham to meet dignitaries and visit Aston Hall and Park. The hall was purchased by the Aston Hall and Park Company and opened as a place of public entertainment in that year. 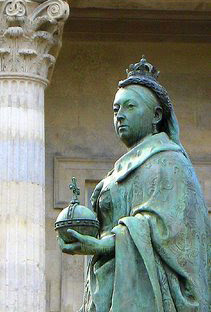 Queen Victoria was in the West Midlands to perform the opening ceremony. It was the first of just two visits the royal made to Birmingham as Queen of England. She was back in the city again on March 23, 1887, to lay the foundation stone of the new Birmingham Assize Court. The pictures, which were engraved on steel, show a panoramic view of the park and hall along with Aston Church as it was 149 years ago. The images depict the Queen’s arrival at the recently refurbished town hall in the city centre with a full military procession. The waiting crowds are shown waving their hats in the air. A large double-page picture shows the Queen inside the city town hall and the reading of the address of the corporation of Birmingham with members of the public crammed into the galleries eager to catch the royal's every word. The book also includes pictures of Mayor of Birmingham John Ratcliff in 1858, as well as images of places like Edgbaston Old Church, Stoneleigh Abbey, King Edwards Grammar School, Spring Hill College, and the Beauchamp Chapel in Warwickshire.